Islamabad (Agenzia Fides) - The Pakistani Supreme Court has set a hearing date for the petition to review the acquittal of Asia Bibi, on the morning of 29 January. President Asif Saeed Khosa will preside over a jury composed of him, Qazi Faez Isa and Mazhar Alam Khan Miankhel who will examine the petition asking to overturn the verdict in favor of the Christian woman sentenced to death for blasphemy in 2010. In October 2018 the supreme court judges exonerated her of the charges against her. A week later, she was released from Multan penitentiary and transferred to a secret location near Islamabad, the capital of Pakistan, along with her husband Ashiq Masih, where she lives in a place of maximum security and protected. In the following days the Islamic radicals of the "Tehreek-e-Labaik Pakistan" (TLP) party set the country on fire and contested her acquittal. To prevent the escalation of violence, the government of Pakistan came to terms with the demonstrators and granted the revision of the verdict of the supreme judges. After the Supreme Court's announcement, in fact, the Muslim religious Qari Salaam - who signed the complaint against Asia for blasphemy - presented the appeal for the revision of the sentence asking to include Asia Bibi’s name in the Exit Control List, to prevent her expatriation. 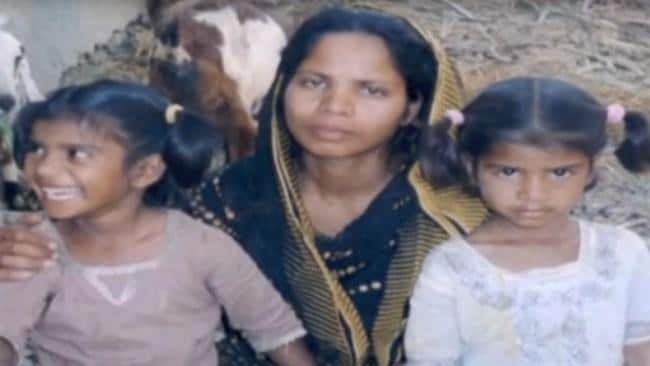 The petition presented by Qari Salaam states that the acquittal of Asia Bibi does not respect the jurisprudence standards as well as the Islamic provisions and the "normal course of justice with reference to the application regarding the blasphemy laws". The appeal also urges the Supreme Court of Pakistan to consult a member of an Islamic Court when reviewing the trial, as this issue requires in-depth details based on the application of Article 295-C of the Criminal Code, the one that punishes the vilification to the Prophet Muhammad. Fr. Bonnie Mendes, an expert on human rights, told Agenzia Fides "The request for revision of the verdict is established by the legal system. We must wait and see the decision of the Supreme Court, we pray for a favorable verdict for this innocent woman". "We appreciate the behavior of the Supreme Court, we hope that the judiciary will follow and protect the rule of law and that the decision will be taken according to the law, without giving in to threats or blackmail", says Christian Sabir Michael, human rights activist to Fides. And he adds: "This case is also a testing ground for the judiciary, the government and the minorities living in Pakistan. We expect to understand how the government handles the pressures and attacks of militant groups and how it will protect its citizens, in order to ensure an adequate level of safety and well-being for religious minorities". "Asia Bibi was declared innocent after almost 9 years in prison: we hope that this last appeal against her will be rejected and that Asia Bibi is definitively released", concludes Michael.